Xiang Hair’s passion not only for superb hairstyling but also for exceptional customer service has earnt them a reputation as one of Australia’s leading hair salons. Their passion shows in their dedication to ensure you look nothing less than perfect. From small beginnings in Melbourne’s west founder Tom Donato has built a strong creative force in Australian hairdressing. 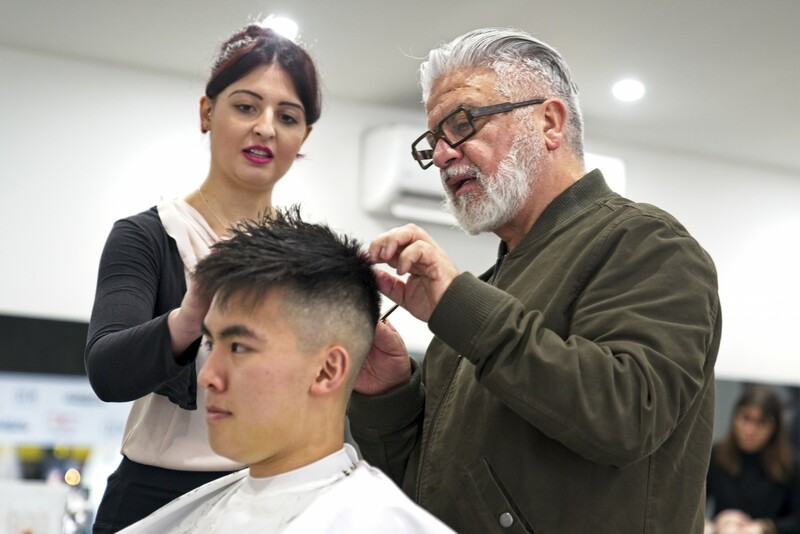 Xiang Hair now has three hair salons across Melbourne, employing over 30 stylists who between them have won numerous industry awards including the title of 2017 AHFA AUSTRALIAN CREATIVE COLOURIST OF THE YEAR. At Xiang Hair we understand that your hair is your crowning glory, that there is no better feeling in the world than being complimented on a great haircut or beautiful colour. You don’t just want a haircut you want a hairstyle. A hairstyle that is suited to your lifestyle, that fills you with confidence and gives you that extra spring in your step. You want a hairstyle that will look just as good six weeks from now as it did when you left the salon. Whether you are looking for a soft romantic up-style for your wedding day or a professional cut that shows you mean business in the boardroom we will take the time to understand your requirements. At Xiang Hair your hairstyle transformation begins the moment you walk in the door. We provide a full, comprehensive consultation with your own personal stylist for a perfect cut and style to suit your busy life. We ensure we understand what you are looking for and make recommendations based on your personal hair type and preferences. With over 30 stylists to choose from we are sure we can find one who you can build a long and trusting relationship with to ensure your hairstyle looks great well into the future.